While there are birth mothers, adoptive parents, and adoption professionals that still think that closed adoption is the best option to provide anonymity to birth mothers and parental security to adoptive parents, to many adoptees, closed adoption is trauma and abuse. Imagine growing up not looking like any of your family members. You have no one to identify with while little Suzy is prancing around telling her friends she got her eyes from her mom and her height from her dad; meanwhile, you are left in an awkward position wondering where you got your features from. You hope and pray that no one points the finger at you as if it were your turn and asks you where you got this or that from because we all know once an adoptee utters the words, “I-I-I….I am adopted; I don’t know what my mom or dad look like” it will create an awkward silence followed by an, “I am so sorry” and you begin to feel like the size of an ant. People instantly make you feel like you should be pitied because your own mother gave you away. A 2 minute harmless conversation develops into a 24 hour cycle of trauma triggering depression, severe fear, and anxiety. These are the effects of closed adoption. If you do not by now, adoptees are the only population on Earth that do not have access to their original birth certificate. If that doesn’t trigger anything in you, look at it like this: the parents names that are written on adoptees birth certificates leads adoptees to believe that their adoptive parents are the ones that gave birth to their adopted child. That is a lie. That is fraud. How is it that the world is comfortable with feeling like they can do that to people? Before I was told I was adopted (I always had speculation I was because I look different), I remember looking at my birth certificate. I remember seeing that my adoptive mom’s name was the woman’s name that was on the birth certificate as my mom. It lead me to believe that my mind was playing tricks on me because I knew I looked different, but this piece of paper was telling me that I came out of my adoptive mother’s womb. I was so confused. I remember as a child feeling like there is was something completely wrong about me, but I never said anything to my adoptive mom. I always kept a smile on my face and never questioned anything out of fear of hurting my adoptive mom. It was amazing at such a young age that I felt like if I asked about being adopted that I could hurt her feelings. I did not want to hurt my mom’s feelings. Yet, I allowed myself to be hurt over and over again as I tried to figure out why I looked so different and why everyone else felt they had to let me know I look nothing like my family. I never let my adoptive family know any of this. To all adoptive parents that have yet to tell your child that he or she is adopted, they probably know already. You need to tell them. And to adoptive parents that feel that your adopted child isn’t struggling with being adopted because they are all smiles and never come to you about it, think again. My adoptive mom would have never had a clue EVER that I struggled with being adopted. It was a battle I fought on my own. Don’t you dare go to the doctors office when you are having a bad day when you are an adoptee. They can make a bad day go to a level that feels like there is no way back up. Can you believe that feeling can be triggered by just one question?! Here is the question, “what is your medical history?” I don’t believe there is one adoptee on the earth that doesn’t stop for at least one second and think about the loss inside of them because adoptees cannot even answer one stupid little question that everyone can seem to breeze through at the doctors office. And god forbid you leave that answer blank because the minute you are called to the back, Dr. So and So is going to ask you why you left it blank. Then when you go on to explain you are adopted, the awkward silence sets in as Dr. So and So gives you a blank stare and clears his throats, and he might even be stupid enough to say, “so you don’t know anything about your medical history”. I remember one day leaving the doctors office when that happened to me because I was on the verge of snapping. Ever since then, I associate the doctors office with trauma. I am okay now because I have learned to deal with it, but I would be lying if I sad that not even for a second I don’t feel pain when I have to answer that question at the doctors office because I am reminded that I don’t know who I am. I remember when I was college in my apartment staring at myself in the mirror in my bathroom pulling my hair as I looked at myself and sobbing and screaming screaming at the top of my lungs, “why didn’t you want me?! How could you do this to me?! How could you let them lie to me and leave no trace of you? !” I wanted to end my life in that very moment. I will never forget it. That was one of the worst “episodes” I ever experienced. Amazingly people deny the statistics that adoptees are 4x more likely to commit suicide. There I laid on the ground in a ball crying myself to sleep on the bathroom floor. No one would have known if something happened to me. No one would have suspected anything because I was such a vivacious high-spirited college cheerleader always making people smile and laugh and carrying them through their storms. I spent eight to ten years searching for my birth family. Not that there was anything wrong with my adoptive family if that is what you are thinking. For some reason when you tell people you want to search of your birth family the first thing that comes out of their mouth is, “well what about your adoptive family?” Listen, this has nothing to do with my adoptive family; this is about me. I need to know who I am just as you know who you are. I don’t know why those that are not affected by adoption jump right into thinking about the adoptive parents before they think about the adopted child. I went to my local court house to petition my adoption records for medical purposes only to be denied. It drove me mad to think that I couldn’t have access to my medical history after spending half of my life with medical issues. It wasn’t enough for Florida, the state that finalized my adoption. I deserve to know if I was predisposed to any medical conditions. What is wrong with this world? Not having access to my adoption records has permanently left me in a state of trauma. There isn’t a therapist in the world that can help me with this. God has been the best therapist for me, but there are days that it just isn’t enough. There is nothing worse than having to have a reunion at a siblings bed side in ICU and months later at a grave site. If I could have just found my family just a few months earlier everything could have changed for me and for my two little brothers, but now one is in the grave after being murdered. We only had one phone call. We both told she each other how much we loved each other and couldn’t wait to see each other. That day never came. He was killed. My life will never be the same. What few people seem to realize especially birth mothers is that when you make the decision to place your child for adoption and you have other children, everyone suffers. To an adoptee, adoption isn’t just about our birth mothers. It is about our brothers and sisters, grandparents, cousins, aunts and uncles. We deserve to know them even if birth mothers don’t want to be identified or found. We deserve to know who it is we are staring back in the mirror. We deserve to know our medical history. Our adoptive family doesn’t replace our birth family. They are not our “new” family. Being adopted means you should have two families. More love to receive. Not one family to grieve. 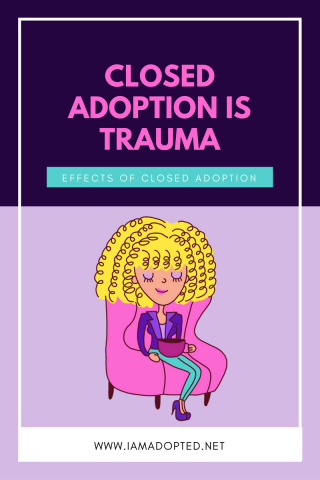 Closed adoption is trauma. It is abuse. Down right abuse! The ONLY time closed adoption should be enabled is when a child’s life is in danger to protect the child. No adoptee deserves to have their history erased as if the our ancestors and family members don’t matter. Our lives matter as adoptees. It is time adoption be about us, the child. Adoptees: how has closed adoption affected your life? 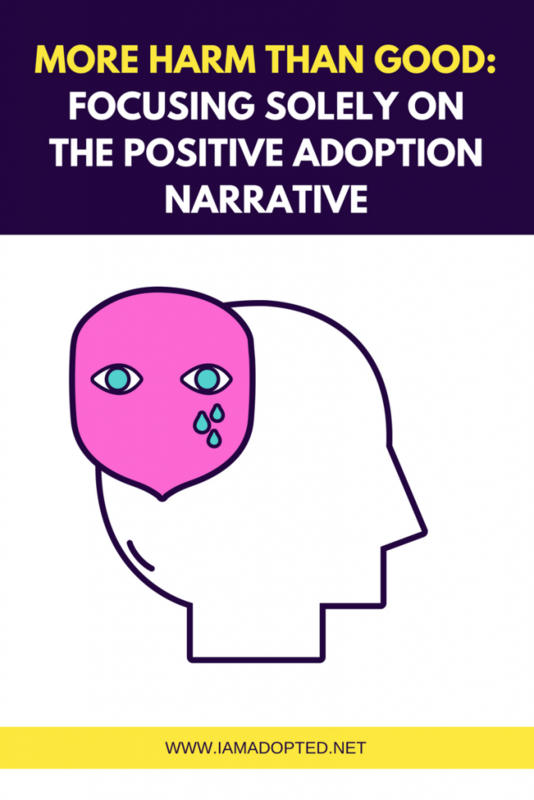 Birth mothers & adoptive parents: after reading just a few effects on closed adoptions, what are your thoughts? Jessenia, I'm an adoptee from open adoption. 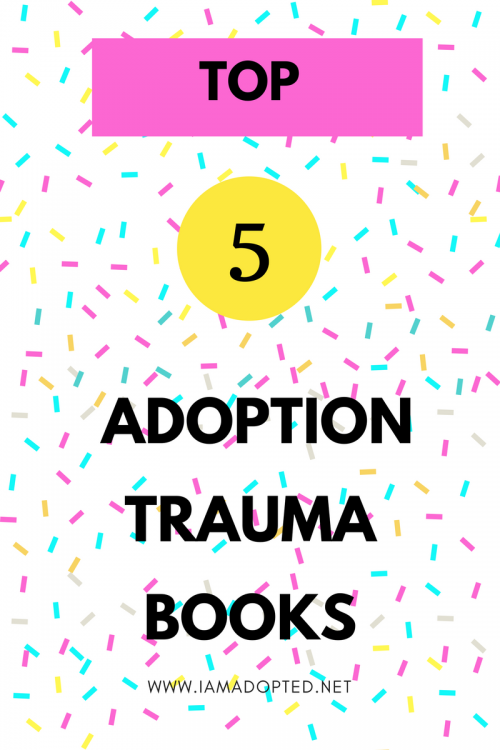 I've spent the last couple years blogging about the horrendous effects of open adoption – the complexity of reunion issues, anxiety, depression, sadness, recurring loss and trauma – all of these things and more starting at the age of 4. But I'll be the first to say that I'm with you. Closed records and the attempt to shame adoptees and natural parents is absolutely ridiculous. Every single adoptee should have access to their original birth certificate. Every single adoptee should have updated medical information that is critical to their life. NO adoptee should have to go through years long searches to find their own family and end up missing a reunion by a short period of time due to death. It's absolutely unconscionable that adoptees are in this situation. Personally, I'm fed up with crap excuses from legislators such as opening records will increase abortions as if they value life. If they truly valued life, they wouldn't place living, breathing humans at risk of death due to not being able to access their records and having updated medical information. Thank you for speaking out. I am so very sorry that you weren't able to see your brother. Hugs. Agree!!! Especially for females to know who they are related to. I don't want to accidentially marry a cousin of mine ;because the agency wouldn't release that information. That's why some people end up marrying their own relatives ,and didn't even know it. This is how I feel. If a child is a adopted they are usually abandoned by their parent/parents. Usually that entire family abandoned them. The family that adopted them is their REAL family. The worst thing you can tell an adopted parent is that they are not their REAL parent. WRONG! The adopted parent(s) is the one who raises the child, takes care of them, takes them to school every day, they are that child's parent(s). Before you give up your child for adoption you know what you are doing. It is explained to you. Instead of whining the adopted child should be grateful! Just a rant, and yes I know about adoption, there are members in my family that are adopted. Did you even read the article Ginger?? NO WHERE in the article did it mention that the adoptive family of an adoptee isn't their REAL family! Since you aren't an adoptee, you will never come close to understanding how it feels to look in the mirror and not know who you look like or where you get your freckles or whatever. It is a major part of your identity growing up. Think about it for a second, as an infant you always hear people say "oh she looks like her father!" or "she has her mother's eyes". It is very easy to take such small things for granted, and as an adoptee myself I have had to struggle with this my whole life. Your assumption that most kids that are given up through adoption aren't wanted shows that you are not educated on adoption at all. In reality, MOST adoptions in the US occur because the birth mother recognizes that she doesn't have the resources or ability to give her child the life he/she deserves. Giving your child up for adoption is the most selfless thing you can do and oftentimes their families have no knowledge that a child was ever born. Now if you want to talk about abandoning a child then maybe you should go and talk to women who have left their newborn children in trashcans. THAT is what abandonment looks like! As an adult that was adopted as an infant, I have never been anything but thankful for the life I was given. To assume otherwise, honestly, makes you look like a fool. 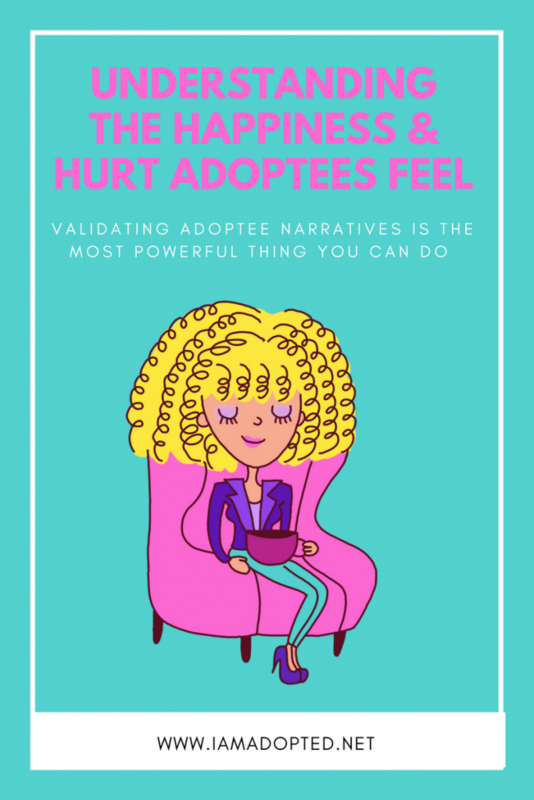 You may know people who have been adopted, but before you make harsh statements that had nothing to do with an article, and with you knowing full and well that people who were ACTUALLY adopted read your crap, you may want to do some valid research…try Google or better yet message the amazing woman that runs this blog! How in the world would you put adoptive parents over the adoptive child/adult? Do you know how it feels to lose not one set but both sets of parents like I did ? Where you look for your face in every stranger every corner hoping praying that you may just run into a sister mother brother ect.. Whom you actually look like ?? Not once was a person except maybe me saying that the adoptive parents weren’t the child parents. They got paid to adopt and take care of us how do i know I was a foster mother but then I had my own and knew it wouldn’t be fare to the children who had not a single baby if I adopted them. It hurts and it almost killed me as I was dead from suicide attempt for 2 1/2 mins . I was young and hated myself . so if you haven’t been in our shoes don’t you dare assume you know how hard it is!!!! Whoa, I was with you until I got to the whining part. I'm adopted and that's about the worst thing you could say to me. My life is better in many ways for having been adopted, but you know what? Adoption isn't all pretty. Being adopted comes with a lot of uncertainties and emotional baggage. Quite frankly, why should I be grateful for having to deal with that? It was not my decision and I had absolutely no say in being adopted. Don't presume to know what it's like being adopted just because you have adopted family members. You will NEVER know, deep inside, in your heart, what it's like to live life as an adoptee. All the pain, grief, loss, abandonment and identity issues that many adoptees face — you will never truly, fully, know how it feels. Like Chrysta says, all the little things you take for granted: knowing where you got your eyes, or your nose, or being able to answer doctors questions about medical history. All of those things we CAN'T DO are just another reminder to us that we're different. And like Chrysta and many others, it's a lifelong struggle to deal with those emotions. Those struggles are certainly not helped by ignorant people dismissing their problems as "whining". Talking about such issues is not "whining", ffs. It's acknowledging the ugly, painful parts of adoption. Adoption isn't like Annie, where the poor orphan gets adopted and lives happily ever after with no ill aftereffects. Ginger, I was sad and angry to read your post in response to this article as it shows so much ignorance of the reality of adoption from all angles. You say you have adopted people in your family but this does not replace first hand experience of it. My adoptive family were my second family and sadly they were ill equipped to raise vulnerable children. They were both damaged individuals who happened to be married and had wealth (initially) and were unable to conceive together. Thankfully the vetting of adoptive parents in the UK has changed so hopefully children needing homes will be in safer hands but I can say without any hesitation that I will NEVER be grateful for the losses I experienced as an infant and the cruelty I received as a small child. I am grateful for the kindness of some people who showed up and some extended family who unfortunately lived thousands of miles away but NEVER for the loss of my first family and in particular, a mother who was forced by her parents to let me go… So no, not all mothers willingly give up their children; sometimes people or life forces that on them. God bless you Jessenia. 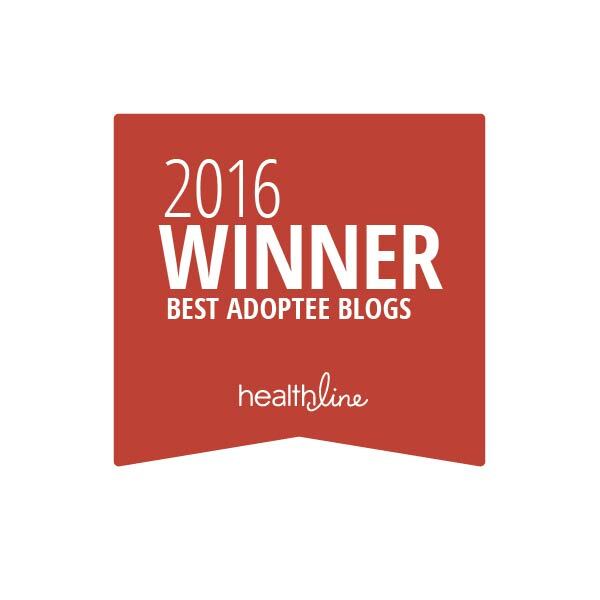 Thank you for sharing your story with us and speaking about the hurts in adoption. I too am a closed records adoptee and can understand your pain at not identifying with adoptive family members. My adoption was not a particularly good one, but I made it out alive and today I live for Christ. I have also adopted children, but I'm not exactly an advocate for adoption unless the family is open to embracing the birth family and have a clear understanding of childhood trauma. My own birth mother was extremely poor and gave birth to me at a time when women had no choice in keeping illegitimate children. She did not want to give me away, but there was really no other way. As a society, we don't want to help the poor. We do however want to help ourselves to their young. I've been blessed now to meet my birth family and it makes all the difference in the world. I make sense. Finally, I have people I can identify with and I even have a medical history. I too hated those doctor appointments where they asked for medical history. I had none. To the Gingers. My adoptive parents knew when they adopted me that I already had a real mother. If adoptive parents can't accept that then they shouldn't adopt. My adopted children have two real mothers: one who gave them life and one who parents. There is a difference. One is not more important than the other, but both are extremely critical. Adoptees should never be forced to choose sides. Both families are real and have tremendous value. I stumbled across this post in an odd emotional moment and I'm thankful you posted it. 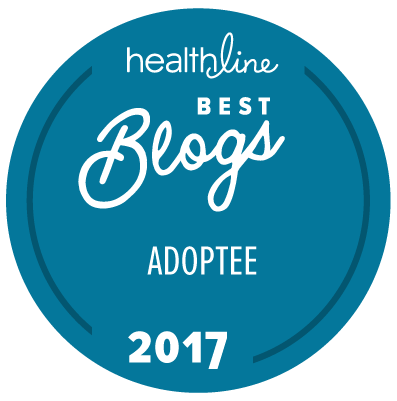 I'm from a closed adoption, and your post had several points I could relate to and feel better I wasn't alone about. I was adopted prior to birth. I grew up with a family that never once withheld the fact from me, and I remember baby books like : "Why was I adopted?" to this day, at 32, nearly word for word. I would argue that I've had a better chance at being happy and successful then most children, adopted or not. I've had a mountain of depression, severe fear, and anxiety throughout my entire life. This isn't anything my parents ever induced, created, or elevated; this is something that after many years of reflecting on my situation, is just what I've concluded is naturally attributed to me. Maybe its closed adoption related, maybe its not. I don't know for sure. Your post seemed to have a lot of similarities in how we've mentally grown up regardless of the specifics of the situations that potentially influenced them. For me, if asked if I wish I hadn't been adopted, I'd still argue that I'd keep it the same way it is now. I want and choose to believe that the life I was facing was substantially worse than the hardships I currently face that are of my own creation. But, regardless of if this sounds like double speak having just said that, when I debate it with myself, I find great issue with finding self worth regardless of either situation. This is something hard wired that just comes and goes throughout the many years I've dealt with it. Therapist and medications do the job of bandaging how I feel at the moment, but it never has approached the core issues that constantly afflict me. Aside from actually meeting and dealing with the guilt and weight of why I was put up for closed adoption, I honestly haven't come to a solution that makes sense and specifically, doesn't hurt any of those involved in the closed adoption any more than it already has. TLDR: Closed adoption is a severely double edged sword, at least to this adoptee. It might be the best of a bad situation, but the fallout still confuses, hurts, and persists for what has been my entire life. For me its like a decent movie with a terrible ending, that you need more answers to make any sense of, that simply (and more specifically, legally) will never come. When younger, I was so conscious about dating…. how on earth was I supposed to know as A CLOSED ADOPTED CHILD if I was dating a brother or close relative….. shivers down my spine….. and spot on about the fact that the ADOPTED PARENTS DO NOT KNOW of the TRAUMA….. as adopted children , most of us were raised to be GRATEFUL so that stopped communicating our fears and troules with the adopted parents…. it is lonely being adopted…. My adoptive parents kept my original (very unique) name, partially because I was old enough to know it. How do you answer the question "Such a pretty name, why did your parents choose it?" when you're six and don't know. How do you cope always wondering if someone will hear your name and recognize you as their daughter? Hey! Just another anonymous adoptee here! ; I know its not who you were hoping for in regard to an answer, but, hopefully you'll see this! I think its beautiful that your adopted parents kept your name! You consider it unique (mine is pretty common, honestly) and I hope you consider it a strength instead of a potential weakness. It sounds like it's given you some inherent fears given its uniqueness, but I really do hope you take it as a strength. You've done nothing wrong. You living with fear about someone hearing your name and thinking "oh.. ****..", isn't your issue to live with. It's theirs. Period. I know you didn't say you live in fear, or imply anxiety for the situation. I just wanted to say if you have a unique name, and some stranger hears it, that you shouldn't feel that you should somehow be held to worry that they'll recognize it, or you specifically. If you want to talk farther, I'd be more than happy to share experiences with you or just talk in general, and hopefully give you someone to vent what I feel we all have/are going through, together. No worries and absolutely no offense taken if not, I just wanted to make sure you know via this probably overly-long-winded response that its not uncommon to feel how you feel. Your question about how to cope requires a more long winded response than this has been lol, but I'd honestly be happy to talk with you in depth further if you'd like. I gave birth to my son when I was 16. He was adopted in a closed adoption, which was the only type done in the late 1970s in the UK. I wanted to keep my son but did not think I was good enough because I was young. I agree totally that closed adoption is completely traumatic. I also think it is unbelievably cruel. My experience of it was of being treated like a criminal once the TPR papers were signed. Being told I must never interrupt or intrude upon the adoptive family and that to do so would be unforgiveable and selfish. As I didn’t know where my son was, I didn’t see how I could even find him, let alone intrude on his life. The message was crystal clear – I was completely unwelcome in his new life or family. I missed him all those years. Profoundly and inconsolably. I longed to know where he was and to have him in my life. To have our lives so closely connected during pregnancy, and then to have him disappear from my life was truly soul-breaking. How it must have felt for him is beyond heart-breaking and I would turn the clock back in a second and give anything to do so if I could. The absolute last thing I wanted was anonymity. That was insisted upon solely for the benefit of the adoptive family. I was supposed to have stopped existing once my son was adopted. When we reunited 30 years later, his adoptive family maintained this wish that I no longer existed but I did, and I always had. I believe that the idea that first mothers wanted anonymity is a sleight of hand, a distraction. All the first mothers I know long to be in touch with their grown children. I think maintaining anonymity is still solely for the benefit of the adoptive famiy. But, as usual and distractingly, the first family are blamed. Really, who benefits most from the continued anonymity – the grieving first mother or the nervous adoptive family? Not knowing where my son was, or even if he was alive, was torture. We are both so much happier now we are back in each other’s life, but we are traumatized by closed adoption. I grew up with not a single bit of love in my life. I grew up hating everything about myself as my adoptive mother made sure to remind me every day how much better her sons were than me. When I was raped at age 8 and tried to tell she scared me so bad I retracted the story only to tell a foster mother later. At the age of 38 January 3 2017 I was finally able to find out who my birth parents actually was. They were both deceased and now Im left with unfinished answers and Im angry and find myself closing off even from my husband. I hate feeling like I’ve never been good enough for anyone .